Stir together the Look Out Here I Come garlic olive oil, basil, parsley, garlic, thyme, oregano, black pepper, rosemary, salt, red pepper, and lemon juice in a bowl. 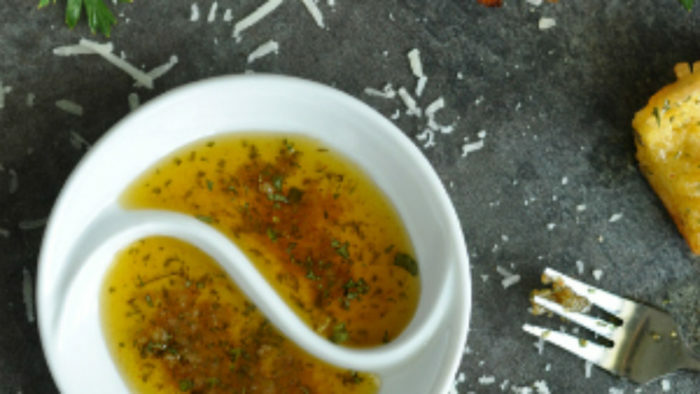 Sprinkle the Parmesan cheese over the surface of the oil mixture. 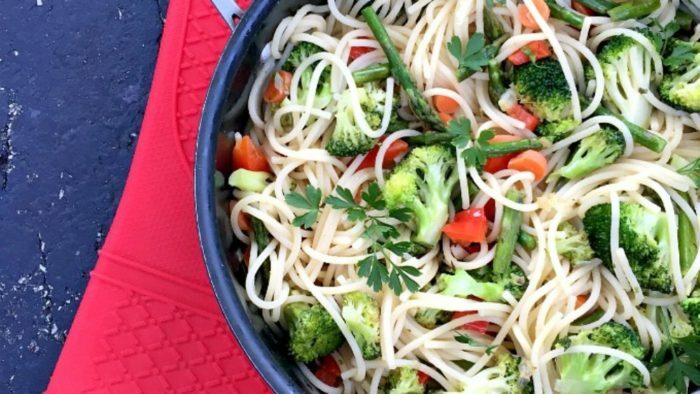 Combine all of the ingredients, EXCEPT oil and lemon. Put in a small food processor (I used my little food chopper). Chop briefly until all ingredients are about the same. Stir in oil and lemon juice. 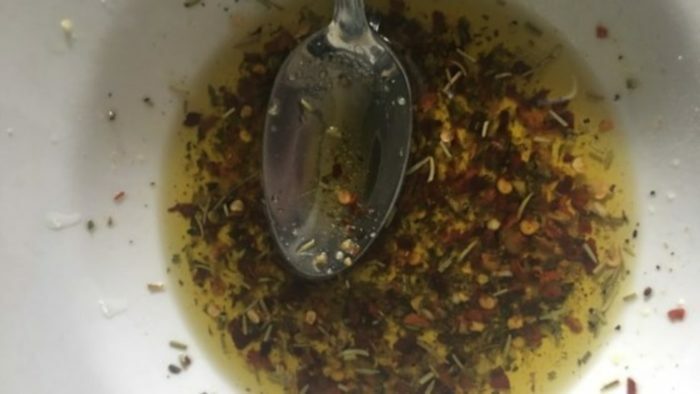 TO SERVE: Combine about 1 1/2 teaspoons spice blend to 3 to 4 tablespoons Look Out Here I Come garlic olive oil on a small Dish. Dip sliced bread in mixture. 1/2 lb Pasta of choice; I like Spaghetti, although I’ve used Penne and Linguine before too. While pasta water is cooking, add 1/4 cup of Look Out Here I Come garlic olive oil to a medium sized skillet over medium heat. Once the oil is hot, add the diced onion and cook for a couple of minutes until translucent. 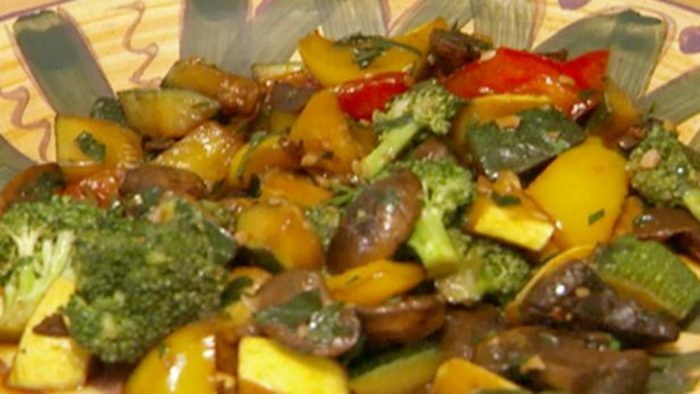 Add the diced garlic and cook for an additional 30 second before adding the rest of the vegetables, except the bell pepper. 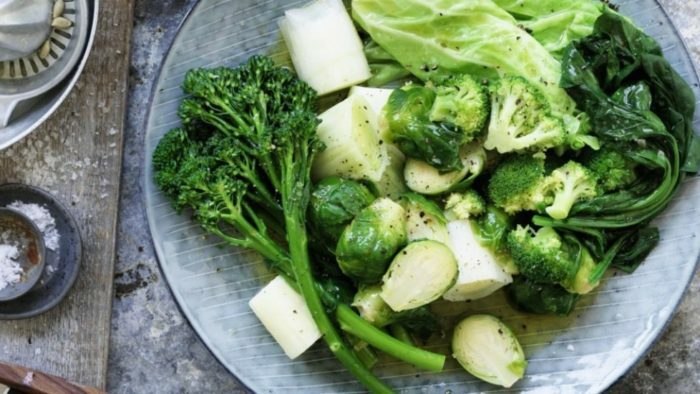 You want to cook the rest of the vegetables until they’re at your desired texture. I like my vegetables to still have some crunch to them so I cooked my broccoli, asparagus and carrots for an additional 10 minutes. Add in the seasonings from the salt to the garlic powder. Towards the end of the cooking, add in the bell peppers and saute for another minute. In a large saute pan over medium-high heat, add the Look Out Here I Come garlic olive oil and heat. Add the garlic and saute, stirring, for 1 minute. Add the all of the vegetables and cook until just starting to wilt, about 2 minutes. Add the oregano, soy sauce and chicken stock and stir well and cook just until vegetables are wilted, about 3 minutes. Remove from heat and serve. Grab an entire bulb of garlic and slice a little less than 1/4 of the top off, just enough to expose the cloves. Drizzle with Look Out Here I Come garlic olive oil and seal into a pinched pouch of aluminum foil. Roast anywhere from 40-60 minutes, depending on your oven and patience. Once the house starts to smell like heaven, resist the urge to dive in to the oven and spread the entire thing on toast. Better yet, roast a second bulb so you can do exactly that! Once your garlic is ready, the cloves should practically be bursting from the bulb. Remove anywhere from half to the entire clove and blend together with the Look Out Here I Come garlic olive oil using a food processor or blender. 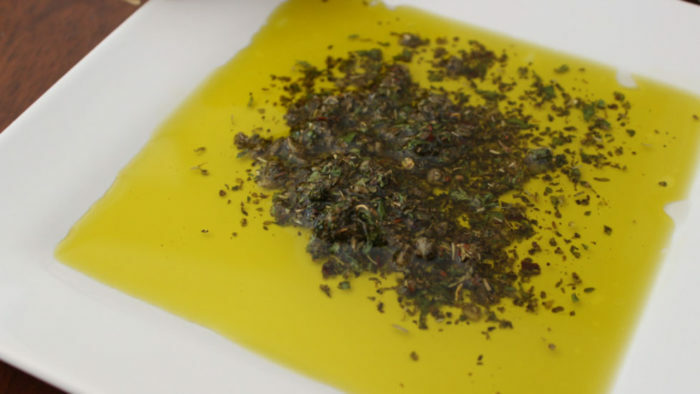 Add the herbs and seasoning blend and let it sit so the flavors can infuse the olive oil. You can dig in after 20 minutes or give it an hour or so, totally up to you! Pour the Look Out Here I Come garlic olive oil into a small shallow pan. Set over medium-low heat. Add the minced garlic. 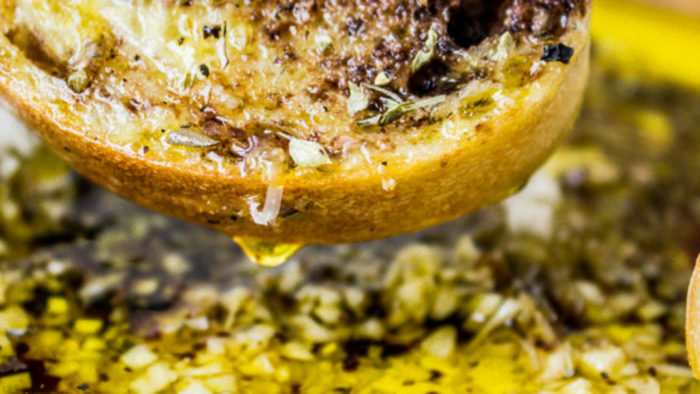 Leave the oil and garlic over the heat just until it has warmed, (you are not cooking it, just warming) then pour the oil onto a deep plate or wide, shallow bowl. Immediately sprinkle with oregano, parmesan, balsamic vinegar, and black pepper. 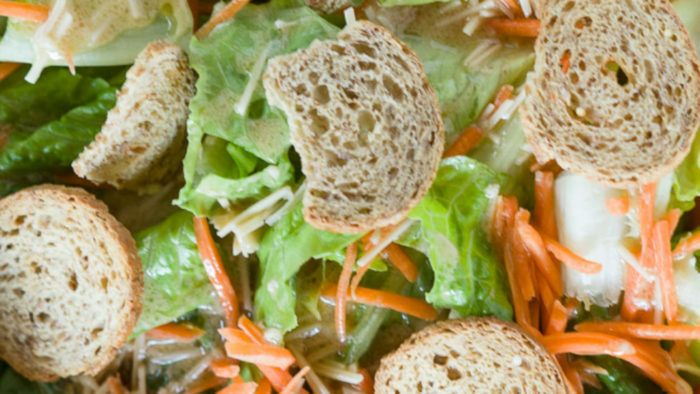 Serve with hot crusty bread! Prepare to abandon your dinner. For white queso dip: Melt butter in a small saucepan, over medium heat. Add flour and whisk together for 2 to 3 minutes. Whisk milk into the roux and continue to whisk together until the mixture is smooth. Simmer, stirring occasionally, until mixture is thick enough to coat the back of a wooden spoon, 3 to 4 minutes. Lightly season with salt. Remove from heat and stir in both shredded cheeses, a small handful at a time, waiting until the cheese melts before adding more. Continue to add cheese until all has been added and dip is smooth. Adjust seasonings. Set aside and keep warm (stirring 1 tablespoon hot milk, at a time, if dip gets too thick). When ready to serve, top with tomatoes and fried basil. For baked polenta chips: Pour water, oil and salt and a pot and place over high heat. Bring mixture to a boil and whisk in polenta. Lower heat to medium and simmer, whisking often, for 20 to 25 minutes. Stir in Parmesan and whisk until thick, smooth and creamy. Pour mixture onto a lightly greased baking sheet and using an offset spatula, spread mixture into a very thin and even layer. Place baking sheet into the refrigerator and allow mixture to chill completely, about 2 hours. Once polenta has chilled, Preheat oven to 350˚F. Carefully slice polenta sheet into even, bite-sized triangles and transfer onto another baking sheet lined with a silpat or parchment paper, 1/4 inch apart. Bake chips for 20 to 25 minutes or until crisp and barely golden brown. Remove from heat, sprinkle with additional salt and allow chips to cool completely. 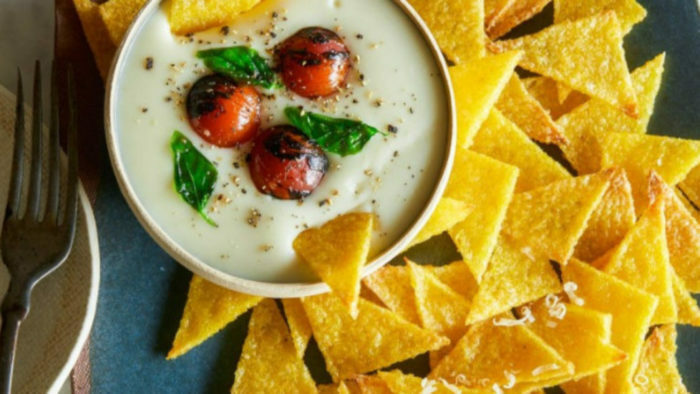 Serve with warm mozzarella cheese dip. Fill a large saucepan with water and salt it well – enough so the water tastes like the sea. Bring it to a rolling boil. Drop each type of vegetable into the pan and cook until tender (see below for cooking times), checking each vegetable along the way to see if it's cooked to your liking. Drain well. Toss in oil and lemon juice and season to taste with salt and pepper. 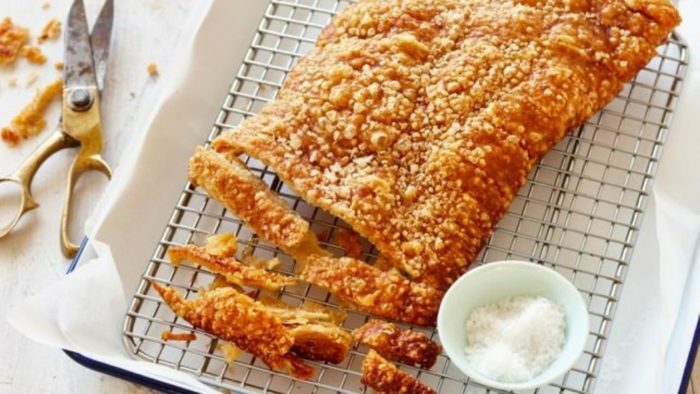 Place crackling rind-side up onto a rack over a shallow baking dish. Brush well with oil. Sprinkle generously with salt. Roast for 40 to 50 minutes, or until small bubbles form on surface and rind is golden and crisp. Cool for 5 minutes, then cut into pieces with kitchen scissors.